If you are searching for a top of the line arborist to improve the look of your trees with tree pruning in Durham, then you've come to the right place! Tree Pros Durham offers affordable, reliable tree pruning services in Durham and the surrounding areas. Tree pruning in Durham is great for your trees and helps keep them healthy and safe. When you use Tree Pros Durham for tree pruning in Durham you know that you will only work with professionals that are known for not only their experience and skill, but also their commitment to customer service. 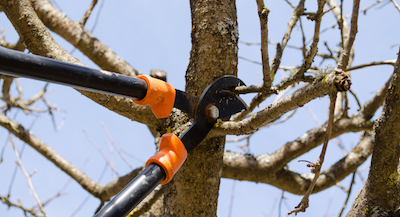 Why Choose Tree Pros Durham for Tree Pruning Service? Experience - all of Tree Pros Durham's arborists have tons of experience with tree pruning in Durham and the surrounding area. This experience helps them know how and when to cut and shape your trees, so your trees are healthy and good looking year round. Reliability - having a reliable arborist that will show up to your property and prune your trees in Durham on time is important. Not only will our professionals complete the job on time, but they will also stay on or under budget. It's very common for other contractors to bid low on projects, even while knowing that they will take more time and money, and then they surprise customers with hidden fees. This won't happen when you use one of our reliable professionals. Low Costs - we know that you are primarily looking for two things when you want tree pruning in Durham, the lowest prices and high quality service. We always aim to have the best possible prices, if you find a better price just let us know and we'll do our best to beat it. Are you ready to see how much you can save on tree pruning in Durham? Complete the quick quote form or give us a call at (919) 246-5950. You won't find better prices or higher quality tree pruning service in Durham anywhere else!